The International Hot Rod Association (IHRA) has announced its sportsman class structure for all Nitro Jam Drag Racing Series national events during the 2014 drag racing season. Of the 12 events on the 2014 Nitro Jam Drag Racing Series schedule, six will coincide with the Summit Racing Equipment Pro-Am Tour, while the Summit Racing Equipment World Finals will remain an invitation-only weekend for drivers competing in the championship races. The remaining five Nitro Jam events will feature ET only programs for sportsman racers. The Nitro Jam events that will include the full assortment of IHRA Summit Racing Equipment Pro-Am Tour classes will be Bradenton Motorsports Park (April 11-13), Rockingham Dragway (May 17-18), Maryland International Raceway (June 13-14), Grand Bend Motorplex (June 20-22), Castrol Raceway (July 4-6) and Cordova Dragway Park (July 18-19). Of those, select events will include ET programs. Check the Sportsman Class Structure chart below for details on ET programs. The remaining Nitro Jam events at Southwestern International Raceway (March 21-22), San Antonio Raceway (March 28-29), Palm Beach International Raceway (May 2-3), Pittsburgh Raceway Park (August 1-2) and U.S. 131 Motorsports Park (August 8-9) will feature local ET racing only. The Summit Racing Equipment World Finals at Memphis International Raceway (October 10-11) will remain an invitation-only event for sportsman racers. 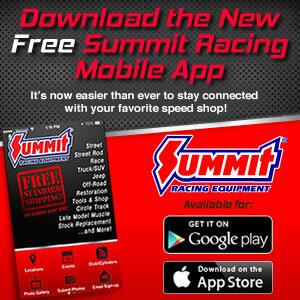 For more information on the 2014 IHRA Nitro Jam Drag Racing Series and Summit Pro-Am Tour, visit www.ihra.com.